How the $%#@ do I turn this thing on?? Marty Silbernik is the author of I’m Too Old To Do This, a tech blog for folks who remember when none of this stuff existed. This article appears with permission. When I was a kid there were 5 TV Channels in Chicago – 2, 5, 7, 9 and 11, CBS, NBC, ABC, WGN (Independent) and PBS. Oh, what a simple time. If we wanted to turn the TV on, we walked over to it and we turned the knob (yeah, an actual knob). Changing channels was a simple thing. If you wanted to go from Channel 5 to Channel 7 you got up from the couch, walked over to the TV and clicked the dial 2 clicks clockwise (that’s where the phrase “don’t change the dial – we’ll be right back after these words from our sponsor” came from). Channel surfing didn’t really exist the way we know it today. The Sunday paper came with a small TV guide. 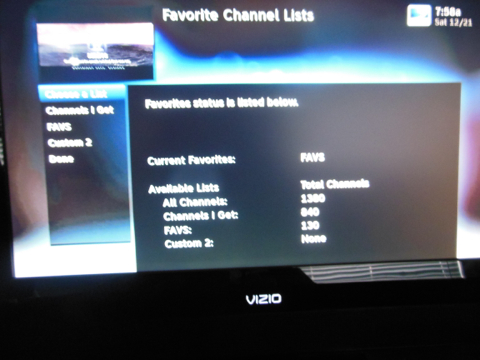 And with 5 channels it was easy to see what was on. Make your decision, get up, change the channel and you were set. Just take a look at this clip from “The Middle” on ABC (sorry about the commercial at the beginning, but there’s no way around it). We’ve all seen this at either our house or a friends house – what I call “Remote Central”. That’s what Frankie and Mike were confused about in the clip. 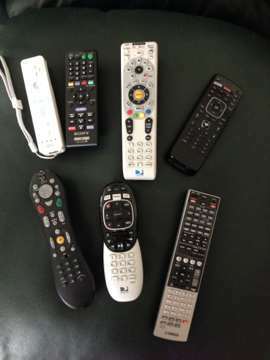 Every device in your entertainment center has a remote, and as you saw in the clip from “The Middle”, sometimes it gets pretty hard to figure out how to turn on the TV and cable and watch TV. And if you have a surround sound system and other devices like a ROKU or AppleTV, well that complicates it even more. Yet, many of us will use 2, 3, and even sometimes 4 remotes to watch televisions or a DVD. And it does get confusing to remember which one does what. And, if your house is anything like mine, one person understands what the remotes do and the rest of the household has no clue. I used to get phone calls telling me the TV wasn’t working, or the TV was on but there was no picture. Then I discovered the way to solve that problem. I bought myself a “universal” remote. Not just any remote at Radio Shack or Wal-Mart that would control 2 or 3 devices. I bought myself a Harmony Universal remote that would do nearly everythihg. The version I’m using today is the Harmony 700. It will handle up to 6 devices and is relatively easy to set up. What I like about this as opposed to the less expensive ones you get at the big box stores is that you really don’t have to “program” this remote in the sense of putting in a code and hoping that it will work. All you need to do is have a list of the model numbers of the devices that you want to control. Then, open your browser, head over to setup.myharmony.com and create an account. It only takes few minutes and you’re ready to go. Once you plug your remote into the USB port, it gets recognized. Then, enter the devices you want to control, enter the connections on the TV that they’re connected to (HDMI 1, HDMI 2, AV, etc.). Next you’ll tell the software what needs to be on to watch TV, what settings everything needs to be on, etc. etc. You do this for each device, update your remote and “voila!” you’re ready to go. Now, when you hit “watch a movie, your TV gets turned on and set to the DVD input, your DVD or Bluray gets turned on, your surround sound or amplifier gets set to the DVD input and everthing is ready to go. Once you’re done watching the DVD or Netflix or whatever lets say you want to watch TV. Push the “Watch TV” button and all the settings change to whatever you need to have them set to for your TV, cable or satellite box and receiver so that you can watch TV. No more using multiple remotes, no more having to remember what button you need to push on the cable remote to change channels or turn on the TV. It’s all there. But the best feature of this remote is the “help” button. Let’s say something doesn’t work right. Hit the “help” button and it will try to set everything again, all by itself. If that doesn’t work, it will take you through a series of yes/no questions on each piece of equipment until it find the problem, fixes it and let’s you watch what you want to watch. I just saw the Harmony 700 both at Costco and online for around $70 to $80. When you realize that you’re going to spend $20-$40 for a decent program yourself remote at the big box stores, the price isn’t so bad. 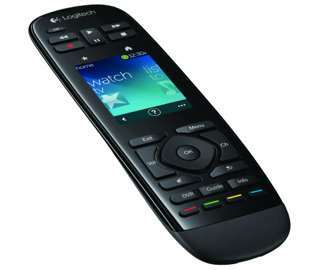 If you need to control more devices, there’s a whole host of remotes from Harmony and other manufacturers. 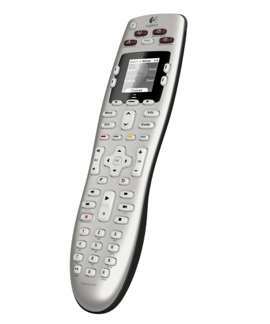 And if you want a remote that works something like your smart phone, there’s always the Harmony Touch (pictured below). At about $200 to $250 it’s a tad expensive, but it’s a full touch screen for the most part, just like your phone, and controls up to 15 devices (I think). So, rather than fight with a basket full of remotes, take a look at some of the Universal remotes that are out there. You’d be surprised at the affordability and ease of use of many of them!